I work in a photocopy place and the other day I stumbled across this box of forgotten photos and papers. 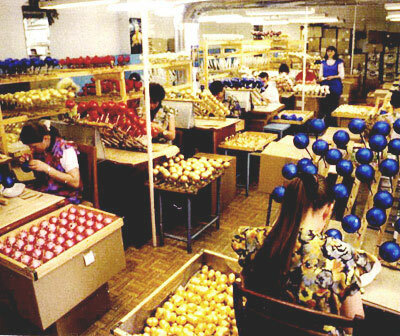 I had no idea they had sweatshops for making Christmas tree balls. I love her dress, and how they’re drying the balls on long sticks, it really intrigues me.